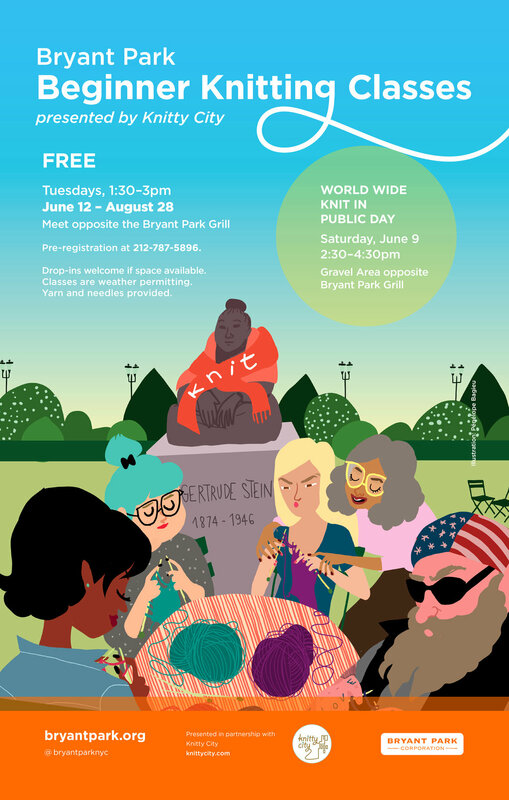 Every Tuesday, June 12th through August 28th 1:30-3:00pm, we will be teaching beginner knitting right next to the Gertrude Stein statue across from Bryant Park Grill. We will be putting together "Found but Not Lost" scarves to be given out in Bryant Park during the winter. Knitty City will provide yarn and the use of needles to all participants. Knitters and knitters-to-be of all levels are welcome to join our community project.